Free Shipping Included! 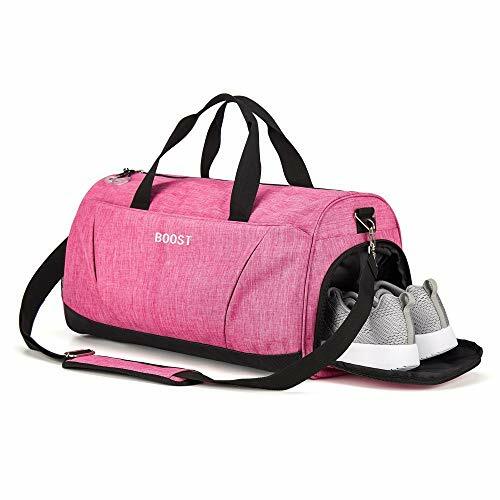 Sports Gym Bag with Shoes Compartment for Women & Men by Boost at Luxury Bags Sale Store. Hurry! Limited time offer. Offer valid only while supplies last. Leather bottom, comfortable, prevents the bag from falling down, stand straight. wearing-resisting. Made of high quality oxford fabric, storage and breathable, wearing-resisting, water proof. Versatile Sports gym bag for workout, tennis, hunting, hiking, basketball, travel, yoga, fishing, camping and other outdoor activities. Multifunctional pockets: main roomy compartment for essentials,one shoes compartment, wet towel pouch, etc. Handbag or cross bag as you like,comfortable,adjustable strap. If you have any questions about this product by Boost, contact us by completing and submitting the form below. If you are looking for a specif part number, please include it with your message.